That's a common problem. If they're not marked, you must mark them before disassembly. If you have the manual, look at page 18, there are instructions on how to proceed. If you don't have the manual, it's available on this site for download. Even if the cams are marked they cannot be relied upon to be reliable. Check everything yourself as per the manual. I did the same exercise lately. I also struggeled and did not find it easy to match the degrees. The matching points were also gone but fortunately I marled the drive pinion so there was not a 3rd wheel to be aligned. A pity that the I5 and E5 marks were not used as matching marks. Hopefully I did not oversee anything. I hope you guys realise that these are not the valve timing figures that are in the Norton workshop manual. 1/2" BTDC on compression stroke.......... yes 1/2 inch.....not 7/16"
I do the same exercice and my cam pinions are not marked. I don't know if my setting is ok or not ? my TDC are not like Heiko. I am of the opinion that the picture of Heiko does not show the engine at TDC and therefore might be a little confusing. When keeping the settings as specified in the original maintenance manual the cams should more or less be in the same positions. That is how I have done it until now. I am however game to try the setting John gave. Modern petrol might require or allow for some change of settings. 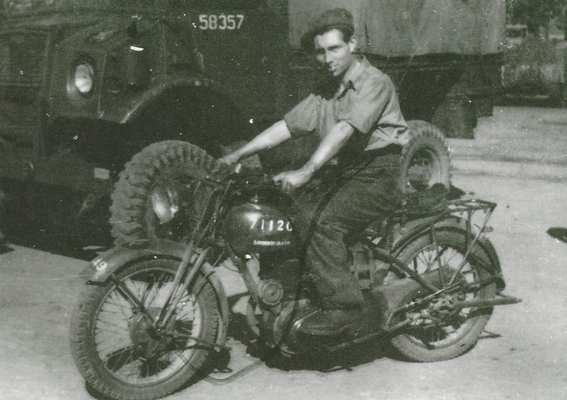 The "military" setting always works and the settings on these old bikes are not as critical as on modern cars or motorcycles. There may however be another optimum after 70 odd years. I have not done any further work on the engine since I took the pictures. "Inlet open 27° to 30° before top center"
- so is this: Inlet is 100% open (I think so ) or starts to open? "Exhaust closes 27° to 30° after top center"
- so this is: Exhaust just starts to close ( I think so ) or is it 100% closed? This might have mislead me, what is now correct? Thank you for your reply, please do you think my setting is ok ? My TDC 2 (after 360°) photo show exhaust cam begin to close and Inlet cam begin to open. This is what happens when you do not follow the instructions in the manual. It all gets very confusing and you end up making mistakes. To time the engine properly read page 18 to 20 of the instruction manual available for download on this site. It even gives instructions for when the marks are missing. (if marks are present do not trust them, people may have altered them over the years). When you feel confident in knowing what you are doing then by all means experiment with whatever different timing figures you want but it will still be an "experiment". Obviously this refers to TDC on the exhaust stroke not the compression stroke. The figures from Mike Pemberton only puts the exhaust 2 degs out of spec ie 25 instead of 27-30 so could be worth a try. This doesn't look right to me Heiko, the inlet valve shouldn't be open like that at TDC. 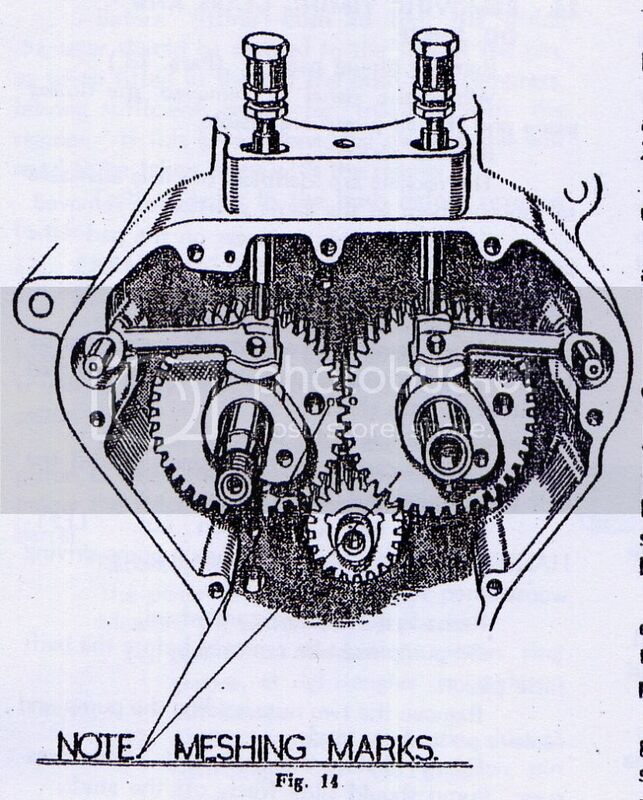 At TDC the inlet and exhaust valves should be open about the same amount (Not on compression stroke) one just closing the other just opening as already mentioned. If you turn the crank back and forwards on TDC you will see them see-saw up and down about the same amount. I have never seen any Norton cams with timing marks, even on my 1940's Model 18 and ES2. If it has got marks, they weren't done at the factory. 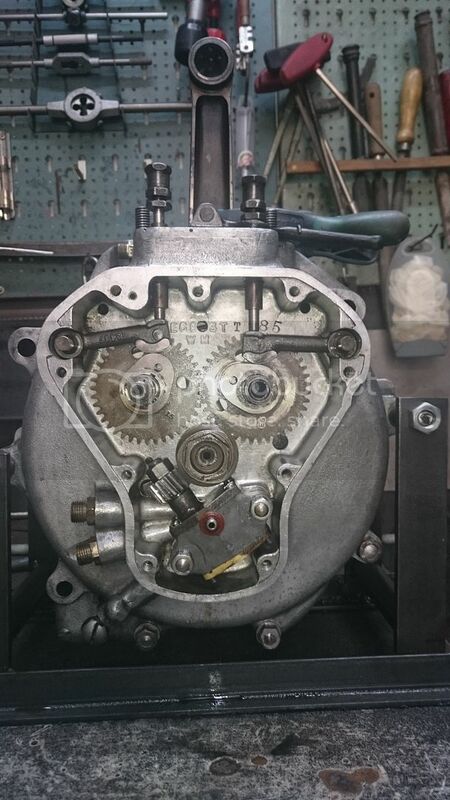 When setting the valve timing, both cams will be at 4 o'clock position, when the engine is turned to the other TDC position both cams will be at 10 o'clock position, so this is a good starting point. 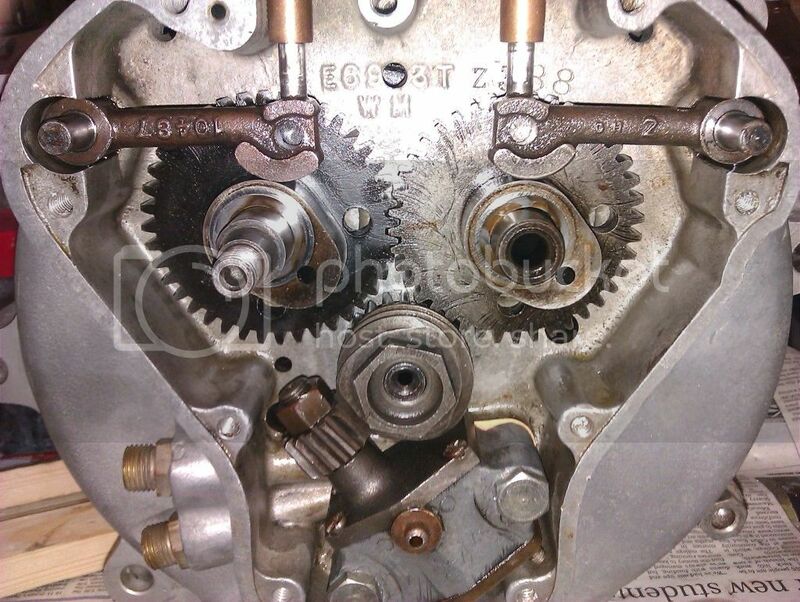 I am building a 16h engine, from my reading Norton did not put marks on the gears and if I am correct, these gears are driven from exhaust cam. I am trying to get my head around the timing, I feel once you get it it is quite straight forward. Do you have any pictures of you setting the timing if so they would help a lot?